The dancing is normal, the listening to music though your own individual headphones is not. 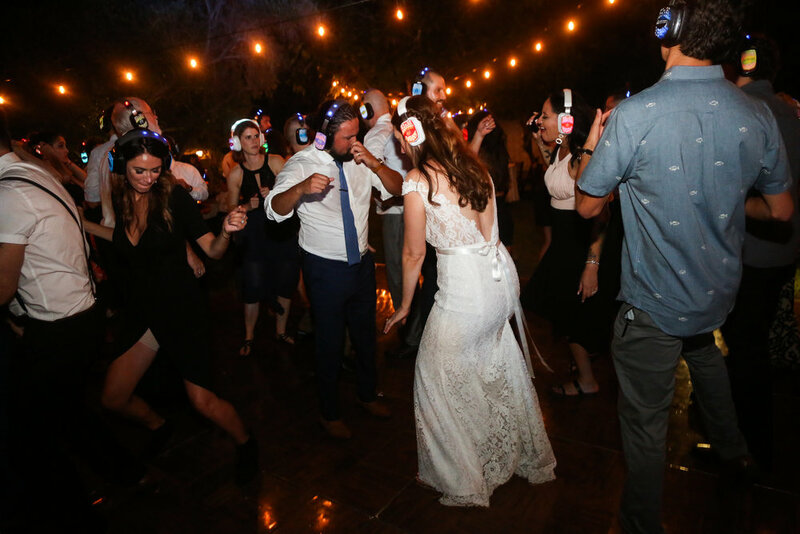 This is a silent disco. The silent disco concept is something I had heard about in the past year when I saw it on a news program. However I had never experienced it, either as a DJ or an attendee at an event. 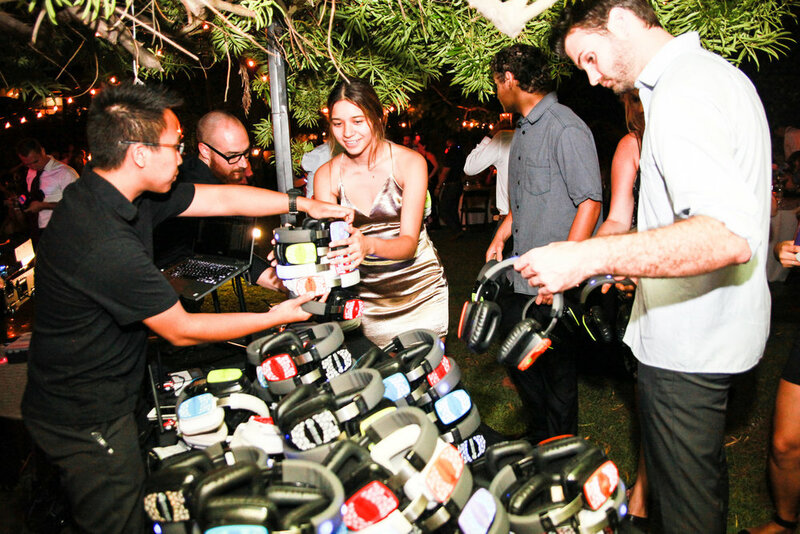 The idea of a silent disco is a completely silent dance floor, with no music coming from any speakers. 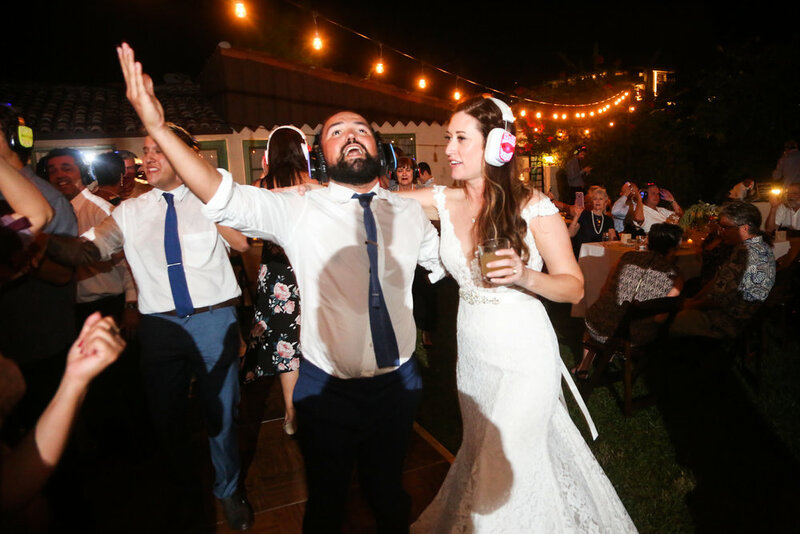 Instead, music is transmitted to headsets that are worn by all the guests. 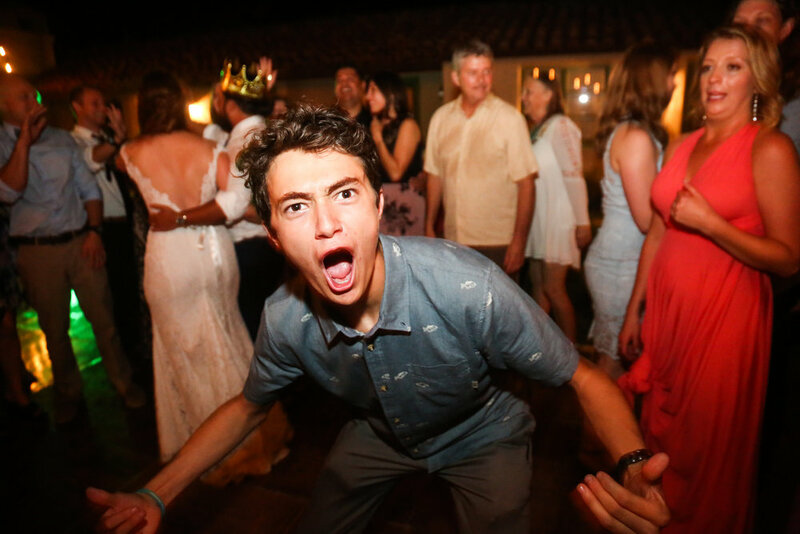 When I was hired to DJ Lululemon Fashion Valley’s one year anniversary party and was told a silent disco was going to be part of the party, I was excited but also a bit unsure. I had many questions. How does it work? How do I transmit the music to the headsets? What music should I play? And most importantly, would people even be into it? Lululemon used Silentstorm, based in San Francisco, to provide the headsets. The devices also came with a wireless transmitter, which I connected my main output to. My “how” question was quickly answered. That transmitter is what is sending the music to all those headsets, 100 in this case. The headsets have the capability to receive three different signals. 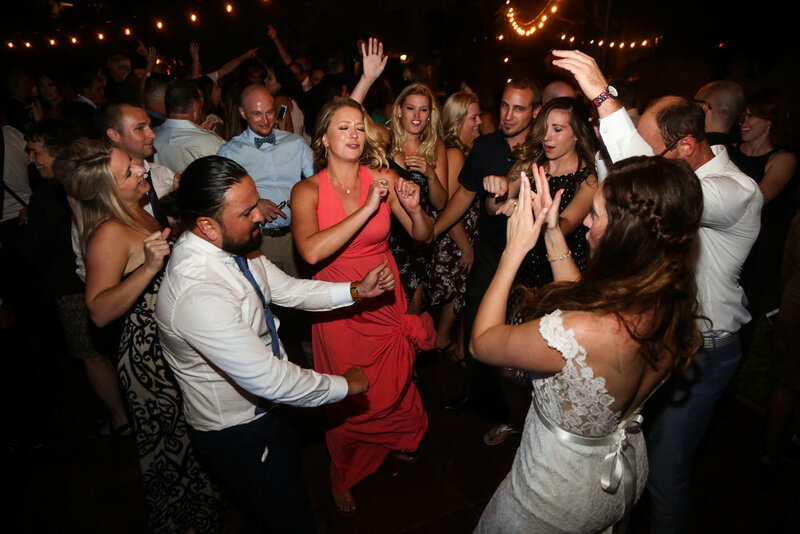 This is ideal for a party that has multiple DJs, each spinning a different genre of music. Even more interesting, the headsets have an LED light corresponding to the channel it is set on. 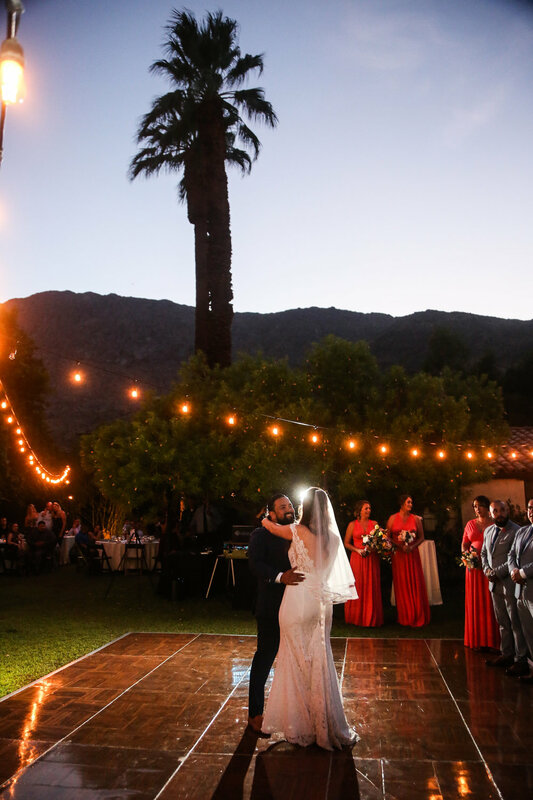 This way guests have a visual cue of who is listening to the same music as they are. It was a fun experience. Although it does present some challenges for a DJ, which I will likely write about in a separate “for DJs only” post … no need to bore everyone else here. The video basically confirms, yes, indeed everyone was into it. Also, for a complete recap of the party, check out this blog post. Happy one year anniversary to the crew at Lululemon Fashion Valley. The Lululemon Athletica store located in Fashion Valley Mall celebrated its one year anniversary by closing down the store a little early on a Friday night, inviting some friends and having a big ‘ol dance party. An acroyoga performance is one way to entertain and impress guests at a party. I provided DJ and uplighting services for my Lulu friends. Part of the program also included an acroyoga performance and a silent disco … a first time experience for me. This unique dance floor experience provides dancers with headphones that were tuned directly into my music. While the purpose is to feed up to three music sources, allowing users to choose between them, on this night it was just me. Given that, I choose a few songs that were known “karaoke” favorites. With everyone’s headphones on, and my main speakers off, I spun hits from Journey, Vanilla Ice, Spice Girls etc. and had the interesting experience of listening to nearly 100 people sing at the top of their lungs with no audible music. Good stuff! Here’s the setlist from the silent and non-silent parts of the evening. 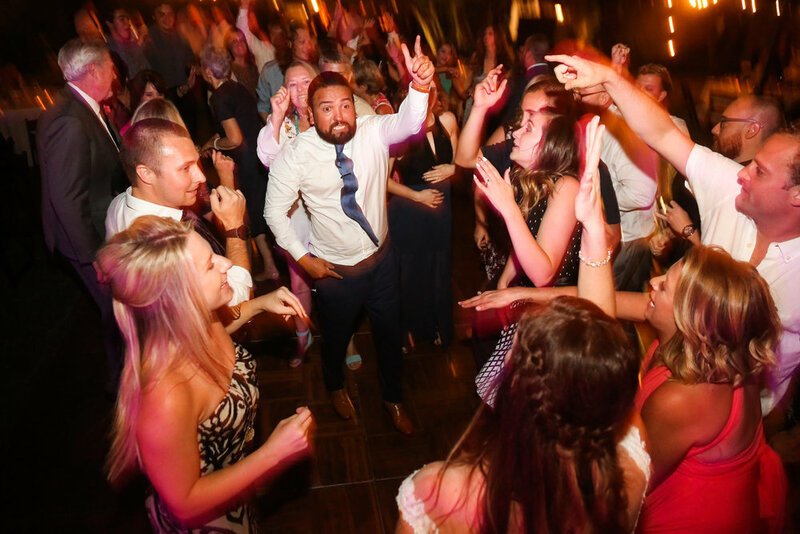 **For more about the silent disco portion of the evening and video of the singing/dancing, check out this post. So great to see my wife and other November Project San Diego friends at this party. Lululemon educator, Alexis, stealing my headphones. I got them back, eventually. 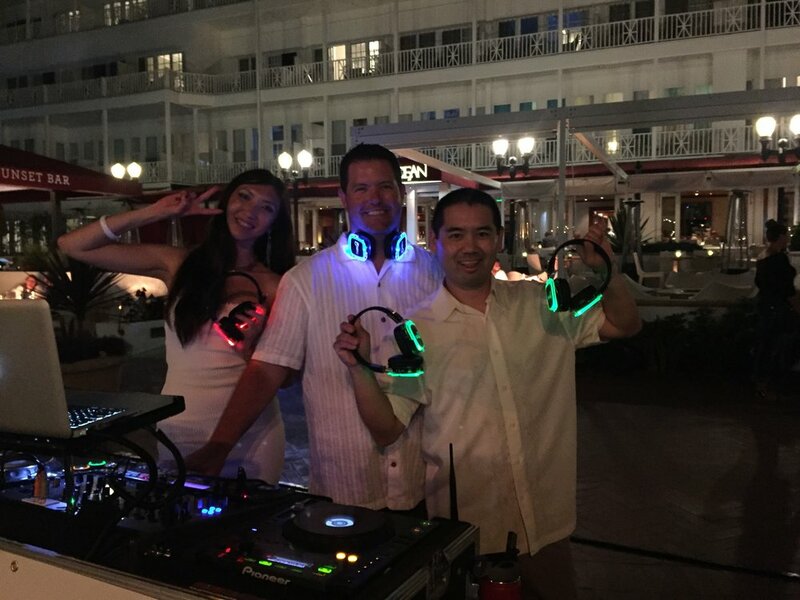 Rocking out with Denon 3700s and keeping it clean with a black Scrim King table scrim.